Abobe has finally announced Lightroom mobile for iPad after a lot of people requested that there should be a mobile app for Lightroom as well. 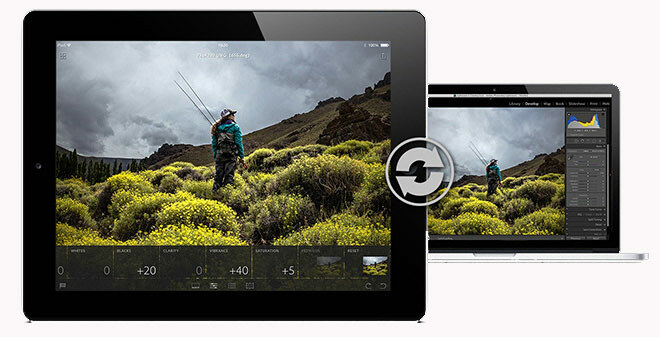 Lightroom mobile is currently announced for iPad and will come for iPhone too in the upcoming days. Lightroom mobile offers a lot of different options that you can use to edit your photos and images on the go. Lightroom mobile import images directly from the iPad’s camera roll. It also shows different sharing options so that you can share the edited image or photo on social media. You can even use slideshow feature for all the images in your library. Another interesting thing about Lightroom mobile is that it automatically syncs all the images to Lightroom 5 on your PC. But there is a catch. In order to use this feature, you have to subscribe to Creative Cloud services. Truly, this is a great feature that eliminates the use of a USB connection to transfer edited photos from your device to PC. The interface of Lightroom mobile app is best designed for larger display screen on iPad. Almost 80% of the screen is taken by the preview photo and the rest of 20% is taken by sliders and controls. If you want to get yourself Adobe’s new Lightroom mobile app, you need to be a member of one of the following four Creative Cloud programs. But before you buy Lightroom mobile, make sure that you have an iPad 2 or later with iOS 7 installed on it. According to Adobe, iPhone version is almost ready to be launched and they are working on an Android version as well. But it could take few months before they can give a specific launch or release date for Lightroom mobile for Android.